King Arthur, according to its literature, was a British leader. However, its influence in Brittany is huge. The Brocéliande, the mythical forest where Merlin was buried, is there, lots of family names in Brittany are originally from King's Arthur stories and etc. Why is that? This question should probably be in the Myth & Folklore SE but let's answer it anyway. King Arthur is such a major figure in Brittany because Brittany was largely settled by Britons towards the end of the 4th Century and into the 6th Century. 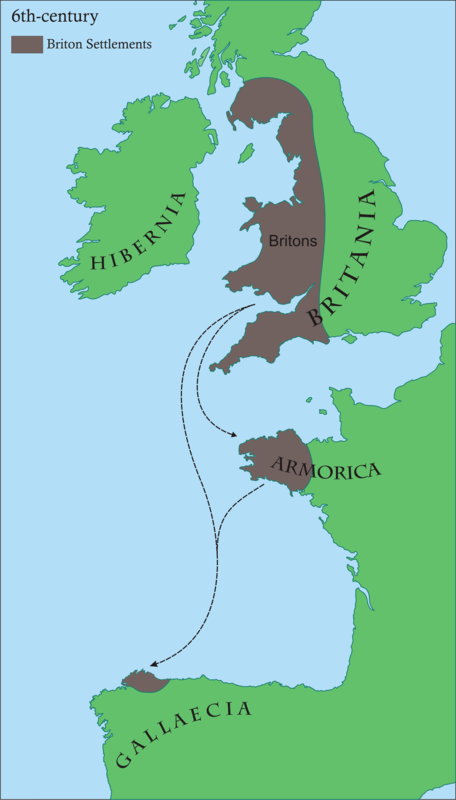 The reasons for this vary by time period, in the earlier wave sources state that Britons were sent to the Amorican peninsula by the Roman usurper Magnus Maximus to enforce his claim in Gaul under Conan Meriadoc (this of course is presented in later documents and should be taken with a grain of salt), later migration is largely considered to be due to the Anglo & Saxon spread westwards (1). (1) Léon Fleuriot, Les origines de la Bretagne: l’émigration, Paris, Payot, 1980. (2) Concepts of Arthur, Chapter 2. This depends on when you think King Arthur existed. The Bretons moved to France at some time between the fifth and tenth centuries from southern Britain. This is why Britain and Brittany are similar words (identical in French, distinguished only by calling Britain "Great Britain"). They took their language, social structure, folklore, placenames (e.g. there is a Cornwall in Brittany) etc. etc. with them and King Arthur would be part of that, the stories being told in a language that was the same both sides of the Channel, only slowly diverging over time. They would have identified places with the stories. Depending on dates it is also possible that King Arthur did cross the Channel and that events really did take place in France (as it is now called) but in the same culture and language. Not the answer you're looking for? Browse other questions tagged middle-ages france britain or ask your own question. When was King Alfred first called 'Alfred the Great'? How many warriors (troops) did feudal vassals have to provide to the king?